Lately we’ve been spending most of our weekends out exploring Ireland, so we decided that this weekend it was time for us to regroup and spend a few days here in our own home. Even though we were staying home, we still wanted to plan something fun. So the idea of the “staycation” was born. Jon cooked up a plan for a little father-son back yard camp-out, and I planned a little getaway to the spa. It was the best weekend ever. On Saturday morning Jon and the boys prepared the campground (i.e. our back yard) for the boys’ camp-out. We’d brought our little 2-man backpacking tent with us from America and we haven’t used it once. There is no way I’m going to bring something half-way around the world to not use it, even once. This being Memorial Day Weekend–one of the busiest camping weekend of the year in America–we thought it would be the perfect excuse to dust of the little tent and let it breathe the fresh Irish air. The boys had fun scouting out our yard for the perfect location to pitch their tent (I believe the criteria consisted of flat ground, soft grass, not too mushy, and not on top of dog poop). 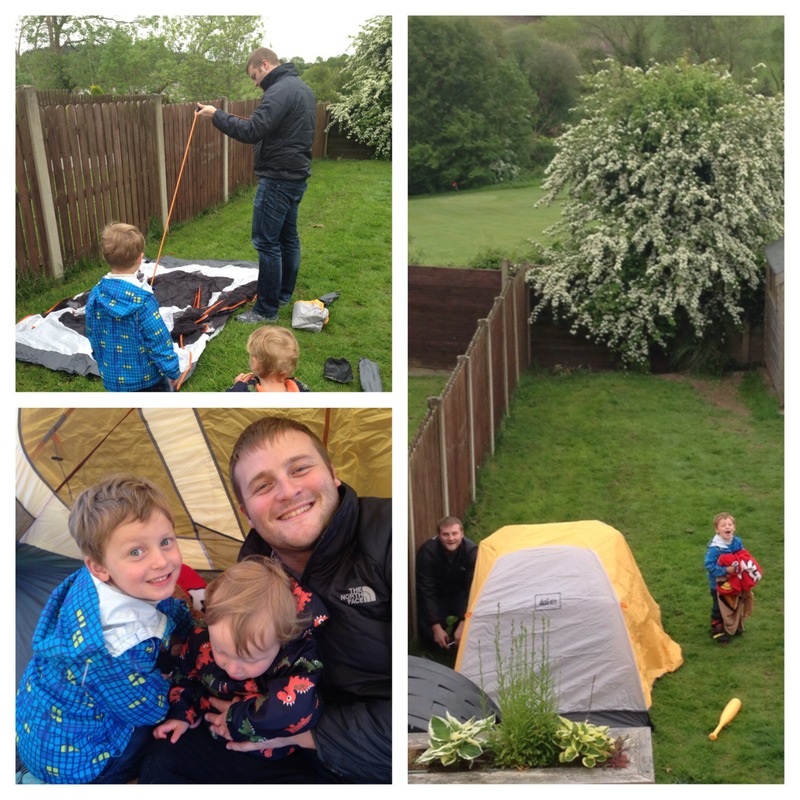 David and Jacob watched on as Daddy expertly raised the tent and, most importantly, covered the whole thing with a rain shield. Then they piled blankets and pillows and stuffed animals and Buzz Lightyear action figures inside. The tent was complete. 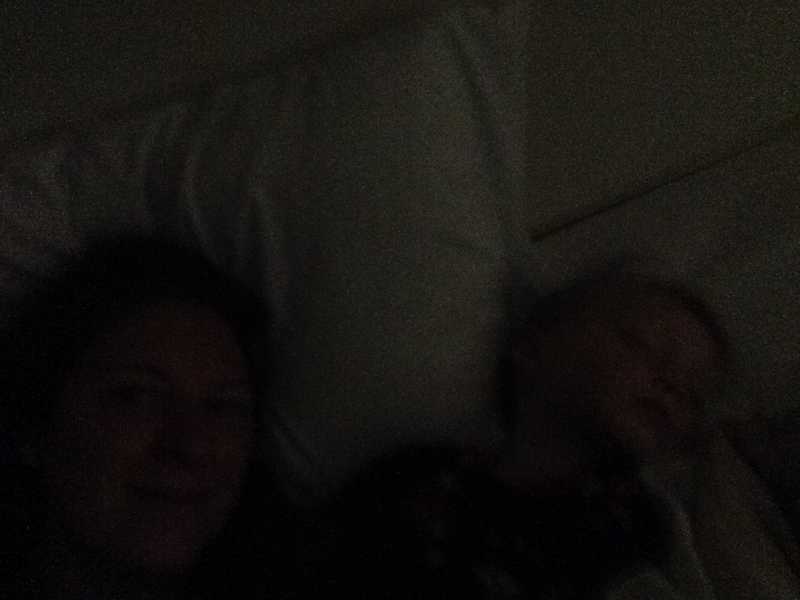 After the tent set-up was finished I sneaked out of the house (er…campground…) for a little mommy TLC time. My Mother’s Day gift this year was a massage at a local spa, and I’ve been dreaming about it ever since I opened the gift certificate. Now it was finally time for my dream to materialize. The Maryborough Spa was–how do I put this?–heaven on earth. Seriously, the most luxurious pampering I’ve ever experienced. Upon my arrival I was greeted and then given a brief tour of the spa. I had an hour until my scheduled massage so I was able to take advantage of the Thermal Suite. This was an area that included saunas, steam rooms, heated lounge chairs, a multi-jet shower and the most incredible hot tub I’ve ever seen. The hot tub was huge–big enough to swim laps in–and it had all of these water fountains and jets you could turn on and loungers to sit on and lighting that made it look as if you were swimming under the stars. It was incredible, and I would have been happy if the whole spa day just ended right there. But I’m so glad it didn’t, because there was much more incredible-ness to come. After I was nice and serene from my hour in the Thermal Suite I was guided to my treatment room where I received a relaxing massage. I have had many massages over the years, but this was the single most relaxing massage I’ve ever had. I got to choose my own mix of calming body oils, the mood lighting for the room, and the precise adjustment of my contouring massage table so that everything was perfectly suited to me (and isn’t this all about me anyway?). During the massage I drifted off to sleep and I’m pretty sure I drooled, but they must expect that when they go to all the trouble of making everything so darn perfect. When my massage was over I was led to the “relaxation suite”–a peaceful window-lined room overlooking a waterfall in a courtyard. After I was settled in my plush lounge chair and covered with a warm blanket they brought me a refreshment tray with juice, smoothies, and a bowl of fresh fruit to munch on while I read a magazine or finished my nap. Note: at this point it had been nearly 3 hours since I’d changed a diaper or winced at a whining child. It was truly surreal. But, wait! There’s more! After I was good and relaxed I was led to my next room-of-paradise: the tea lounge. 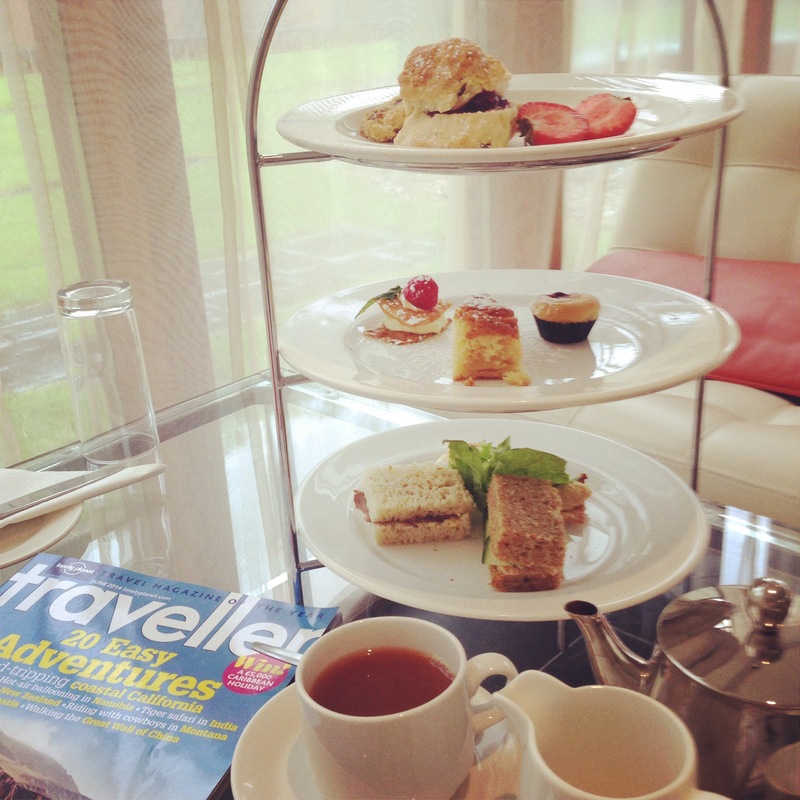 Here I was served afternoon tea, which is just another way of saying “towers of cakes”. This exquisite stack of scrumptiousness spoke to my very soul. I took my time nibbling each little delicacy set before me: warm ham and cheese pastry, almond cake, chocolate chip cookies, scones, raspberry napoleons, fruit tarts, scones with jam and cream. I didn’t really intend to eat the whole tower of food, but it happened. And I relished every single calorie I consumed. After my tea/gorge-fest I returned to the relaxation room to sleep off a bit of the tryptophan from my dainty turkey and brie sandwich. When one of the spa staff members came to check on me I told her I was moving in to the spa forever. She must have thought I was joking, because she laughed and walked away. While I was scouting out the relaxation room for the best after-hours hiding spot I was awakened by a sense of duty to my family. I decided to go back home after all. Besides, I really didn’t want to miss out on the camp-out dinner (sheesh, I’m starting to sound really gluttonous here…). 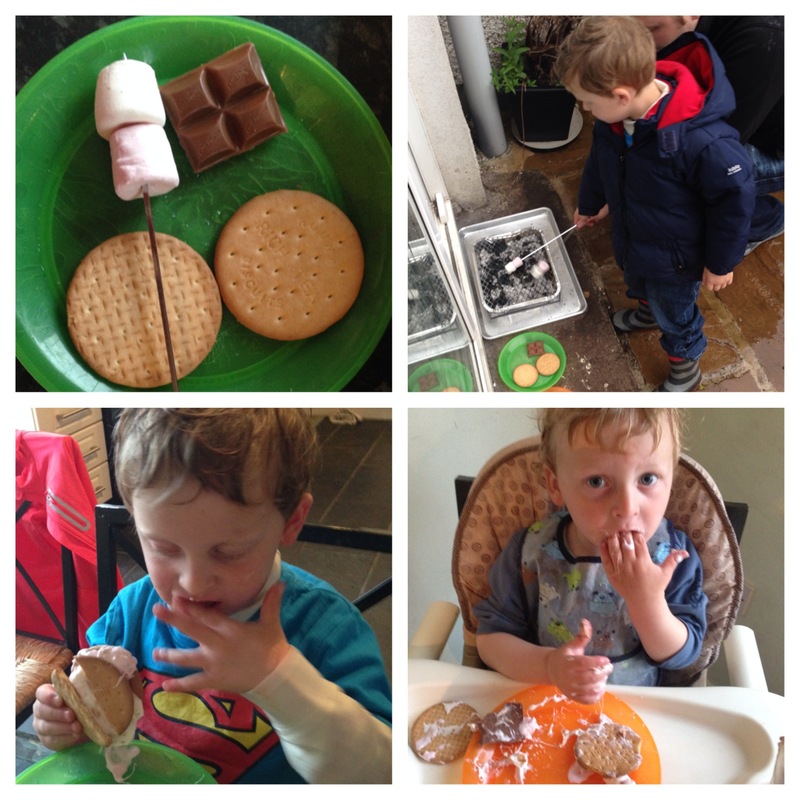 We had to improvise a bit with the s’mores based on the availability of ingredients in Ireland–you can really only find pink marshmallows here and we had to use tea biscuits in place of graham crackers. In the end, though, they were every bit as good as the s’mores you eat in the dirt at any American campground. After dinner we had a family movie night (the feature presentation was “Toy Story”) and then it was off to bed. Since the tent is only big enough for two (and *maybe* because I didn’t want to sleep outside in the rain) I sacrificed my place in the tent so that Jon could sleep out there with David. Jacob slept in his crib inside the house because nobody wants a toddler who wakes up at 5 AM sleeping right outside their bedroom window when 5 AM rolls around. David was so excited for his camp-out (and so confused by the daylight that lingered until nearly 10:00) that he didn’t fall asleep for a good long while after he and Daddy went out to the tent. Jon told him stories and they snuggled and eventually the sky darkened and they slept until 7:00 the next morning. Jacob woke up at his usual 5:00 but, since I was the only other person in the house, I decided to let him whine in his bed for a good long while before I dragged myself out of bed to get him. I decided to bring him back to bed with me and as soon as we were lying down he fell back asleep until 8:00. I’m not gonna lie, I kind of loved it. If I could change anything about this weekend, I would make it longer. Longer to have my family together, longer to roast marshmallows in the rain, longer to watch my son and my husband bond in a tent, longer to relish in pampering at the spa. But I know that all good things must come to an end, and so did our weekend. I’ll tell you one thing, though. If I’m having a rough time this week I’m just going to close my eyes and go to my happy place–that magical place where the only thing interrupting my sleep is a tower of cakes. Last night I decided to try a new recipe for dinner. When it comes to dinner–especially week-night dinners–I usually try to stick with the basics. Things that I’ve made a thousand times and could cook in my sleep (or in the zombie-like trance that is otherwise known as “motherhood”). I had found a new recipe that I really wanted to try, though, and I was feeling brave so I decided to give it a go. Step 1: Wash your hands. Step 2: Start chopping onions but stop halfway through to go change a diaper. Step 3: Wash your hands. Step 4: Start chopping bell peppers but stop halfway through to give the kids a snack. Step 5: Start chopping zucchini but stop halfway through to deal with your distraught 3-year old who has discovered that some monster (you) threw away one of his broken McDonald’s toys. Step 6: Toss vegetables with olive oil and a bit of salt and pepper. Place on a baking tray. Step 7: Try to put the baking tray in your oven and realize that it’s too big and won’t fit. Transfer everything to a smaller tray. Total time elapsed thus far: 38 minutes. Step 8: While the vegetables are roasting in the oven, put some water in a pot for the pasta. While the pot is filling, you get a phone call. You (stupidly) answer the phone and it’s a telemarketer who won’t hang up. Run back to the sink and dump half of the water out of your overflowing pot. Step 9: Put the pot on to boil. 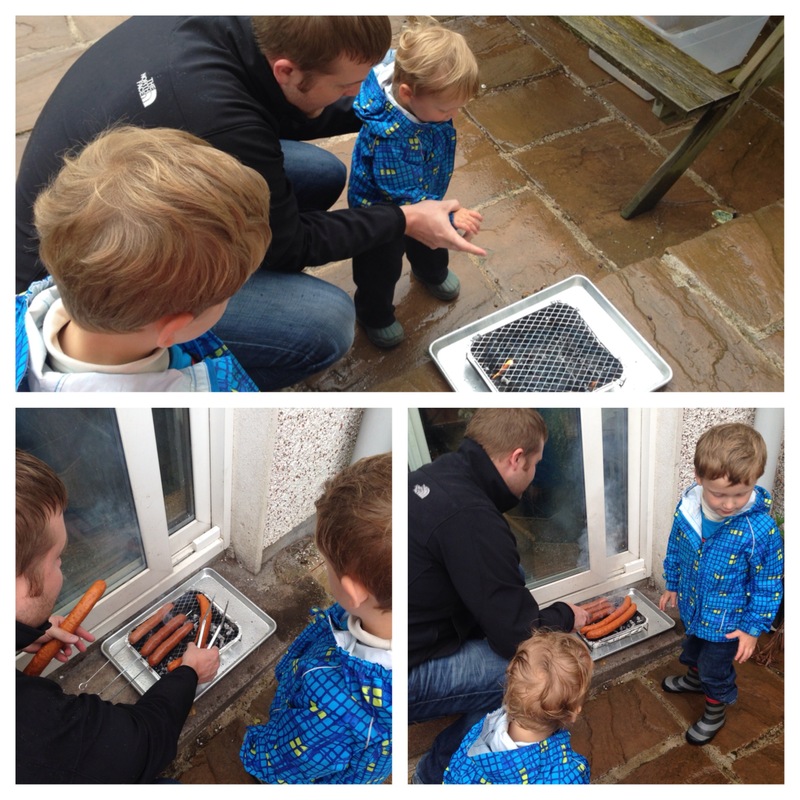 Meanwhile, begin to cook sausage in a pan. Step 10: Trip over the dog 5,000 times. Step 11: Toss the vegetables and return them to the oven. Step 12: Drag your toddler around the kitchen while he sits on your foot. Step 13: Deglaze the sausage with a splash of white wine. Decide that’s a good idea and pour yourself a glass. Step 14: Add pasta to the boiling water and cook to al dente. Step 15: Discover that your children have moved all of their muddy balls from the backyard into your kitchen. Spend the next few minutes throwing muddy balls out the back door. Step 16: Wash your hands. Step 17: Remove vegetables from the oven. Step 18: Read a story to your distraught toddler who, judging by his wails, thinks you have abandoned him for all eternity. Step 19: Drain pasta, reserving some of the liquid for your sauce. Step 20: Answer your 3-year old’s shouts that he’s “all done and needs a wipe” in the upstairs bathroom. Step 21: Wash your hands. Step 22: Eat some cheese. Step 23: Combine pasta, sausage, and roasted veggies in a large pot. Sprinkle with Parmesan cheese and serve. Step 24: Collapse exhausted in your seat at the dinner table and hope that somebody will actually eat the meal set before them instead of the usual “that’s gross” or throwing food across the room to the dog. Step 24: Give yourself a pat on the back and a gold star. Dinner: accomplished. Hooray! You did it! Now, go clean those dishes and get ready because you get to do it all over again tomorrow night. Actually, scratch that. Just look up the phone number for pizza delivery and save yourself the trouble. How hard could that be? 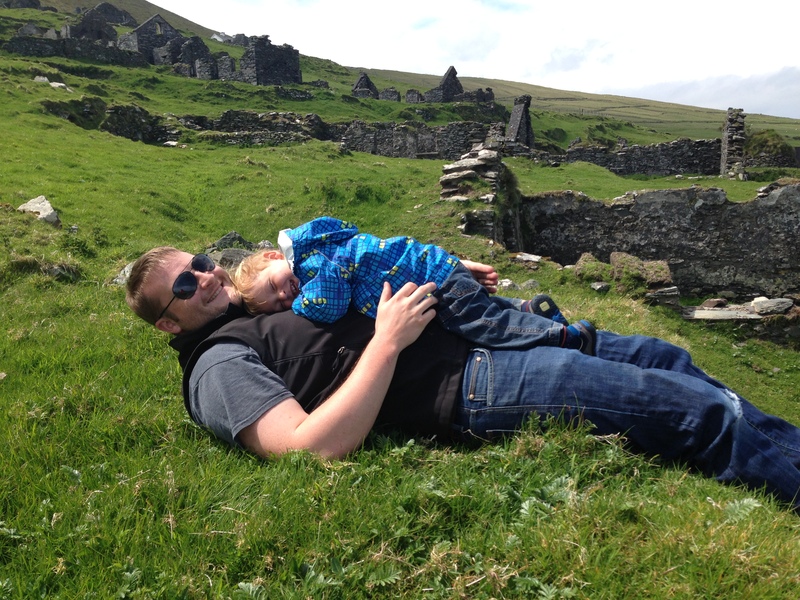 When we first moved to Ireland almost a year ago we made a bucket list of sorts with all of the places that we wanted to visit while we were living here. We’ve made a pretty good dent in the list so far and have already crossed off most of our “must see” locations: The Cliffs of Moher, Dublin, Newgrange, Belfast, Killarney, the Ring of Kerry, Kilkenny, the Rock of Cashel. However, there was still one Big One–maybe THE Big One left on our list. 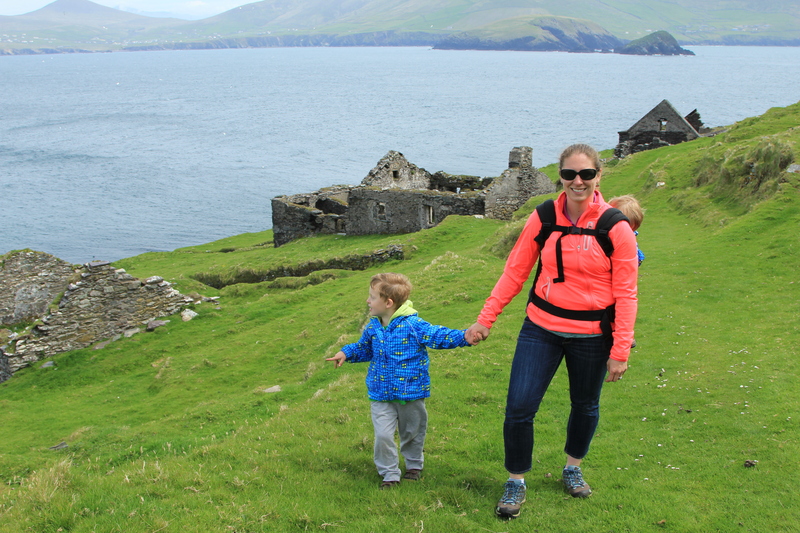 It seems like every person we’ve ever talked to who has visited Ireland or who lives here says the same thing: You must, must, must go to Dingle. It’s supposed to be spectacular–in fact, National Geographic once cited the area as “the most beautiful place on earth”. That’s quite a statement from anyone, let alone National Geographic (because, you know, they’ve actually seen a lot of the earth). 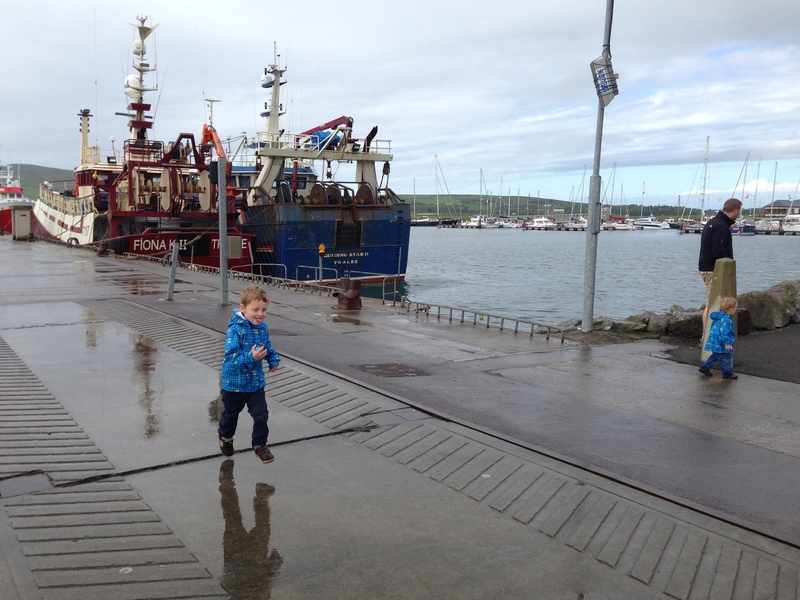 We were saving our Dingle trip for nicer weather and a special occasion, both of which lined up perfectly this weekend. We decided to continue our celebration American Mother’s Day this weekend with our special trip out to Dingle (I say continued the celebration because I actually thought Mother’s Day was this weekend when I booked the trip–that’s what I get for celebrating a holiday in a country where nobody else is celebrating said holiday). After lunch we walked through the little town to get our bearings. 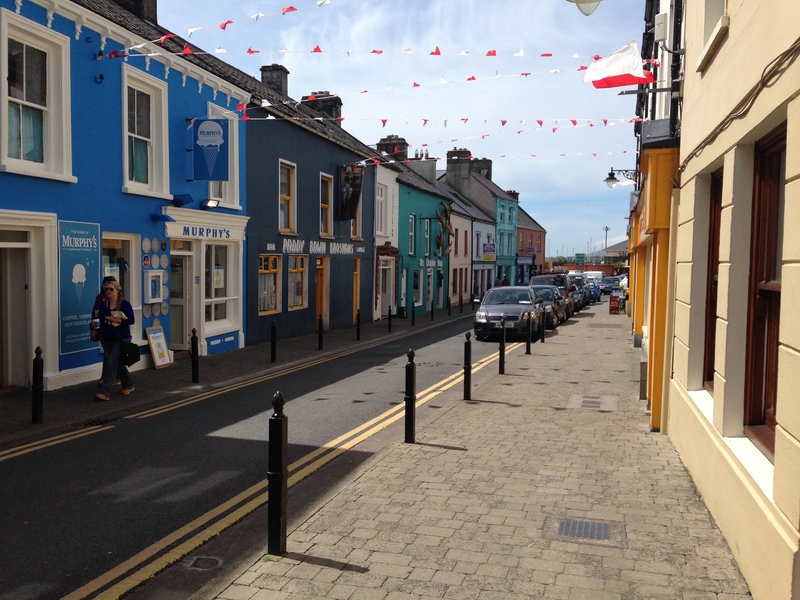 The blue shop on the left is called Murphy’s Ice Cream and we stopped by there for a treat. It was some of the most delicious ice cream I’ve ever eaten (on the same par with Mallard’s and Molly Moo’s for you Seattleites who might be reading). 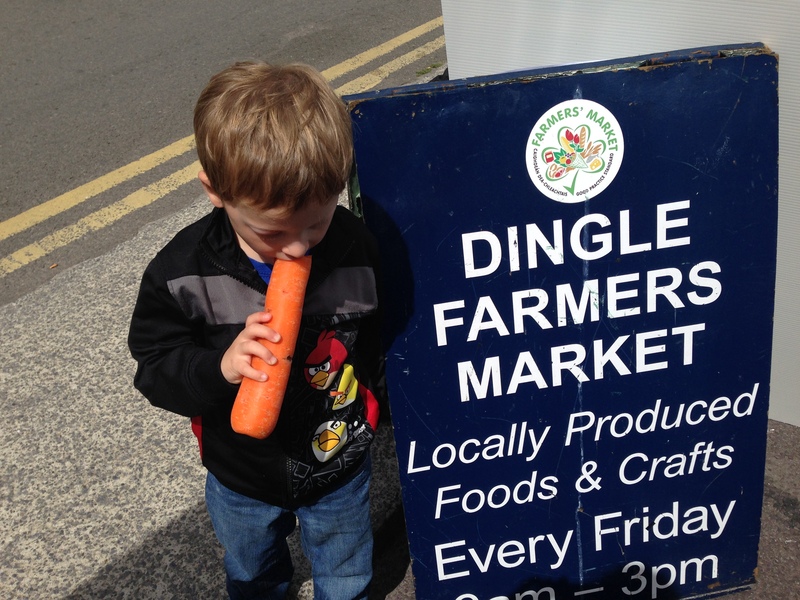 I had the Dingle Sea Salt ice cream (kind of like a rich salted caramel flavor)–the cream came from the local Kerry breed of cows (they are more rare than Giant Pandas!) and the sea salt came from Dingle Harbour. Yes, they actually go out to the harbour, collect sea water, and produce their own sea salt for the ice cream. 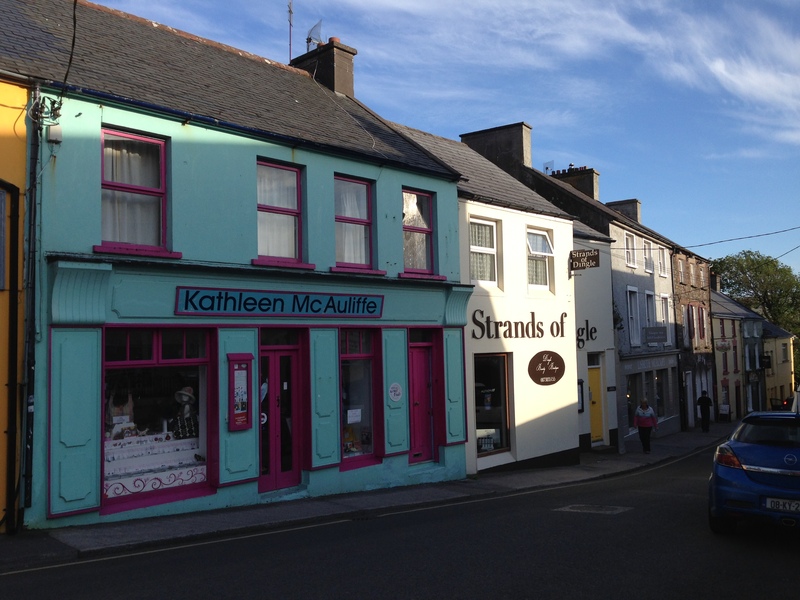 If you ever find yourself in Dingle, stop by and give it a try–you won’t be sorry! The cottages themselves were very interesting. There were three cottages set up so you could see how people might have lived in them (let’s just say I’m glad I wasn’t born in 19th century rural Ireland…). There were displays with information about the famine and how it affected people in the region–about 2 million people died or immigrated during a time period of about 10 years as a result of diseased potatoes and the starvation that ensued. Learning about the famine is terribly saddening, yet strangely intriguing. 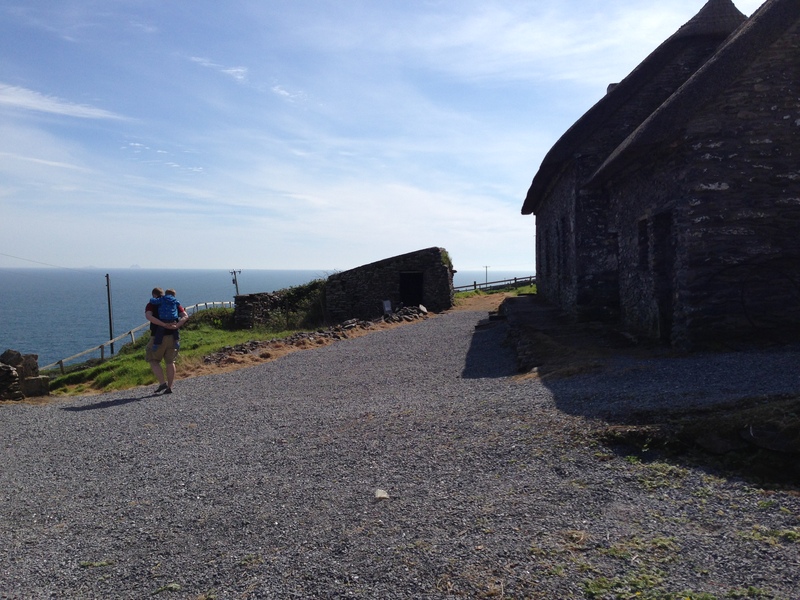 From the cottages, we continued along Slea Head Drive. We made a quick pit stop at a little roadside cafe so we could use the toilets and eat some pie. 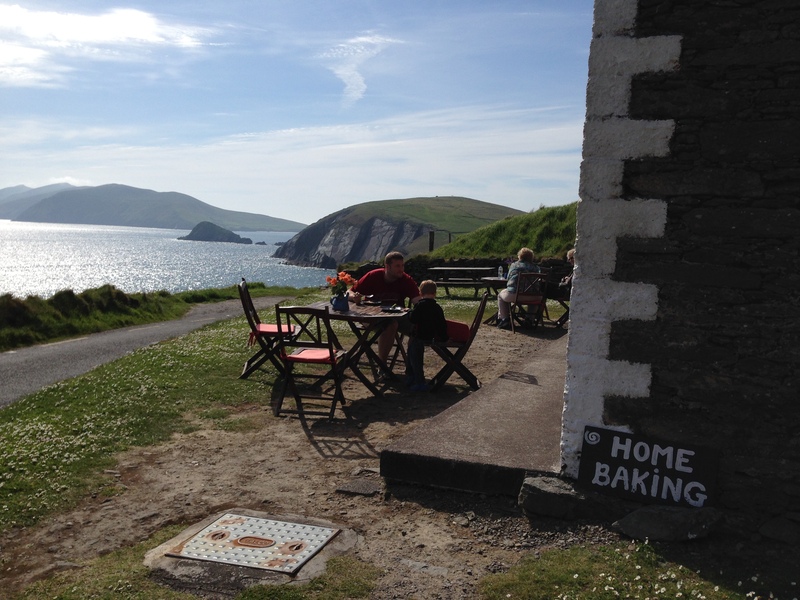 I don’t know if it was the stunning view or the home-baked goodness, but that was some of the best darn pie I’ve ever had: We took hundreds of photos and videos along Slea Head Drive, but none of them do it any justice. We were there on a rare day of perfect weather with sunshine and blue skies that reflected off the ocean water. It was almost magical. Every turn we went around was more stunning than the one before and I literally had my breath taken away several times. 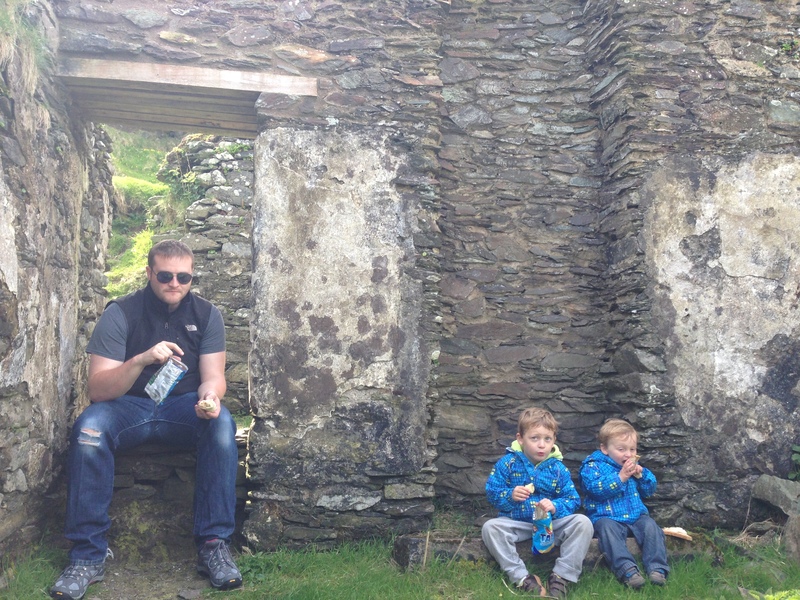 When we got back home from our drive around Slea Head it was dinner time. We made pizza back at our apartment and enjoyed a relaxing evening lounging around. At 8:00 we heard the church bells ringing at the church across the street from our apartment and we told the boys that was their “bedtime bell”. So, off to bed we went. We decided to do a little experiment this weekend having the boys sleep together in the same room (they’ve always slept in separate bedrooms due to their strange sleeping patterns and my unwillingness to deal with cranky sleepers). The sleeping part actually went remarkably well. They enjoyed sharing a room. 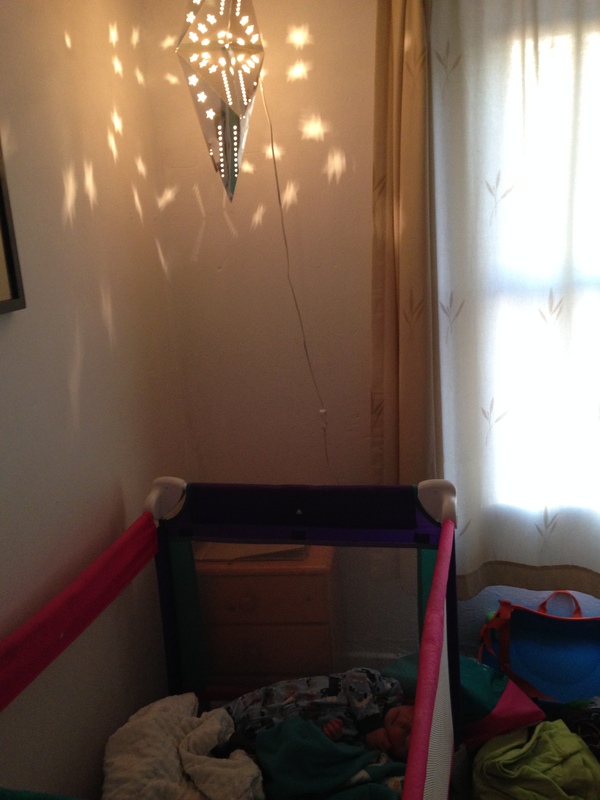 In fact, they enjoyed it so much that one night they were playing together after bedtime, but it was so cute and harmless that we decided to let them play until they fell asleep. Harmless. Right? Wrong. Then it was off to the marina for a special excursion. 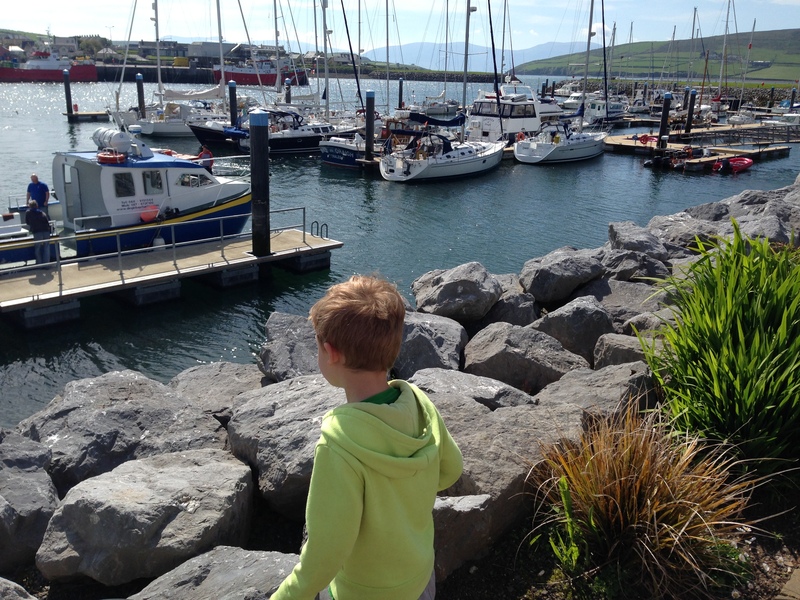 We managed to (by luck and by prayer) score another perfect-weather day in Dingle (seriously, if you’ve ever been to Ireland, you know how very, very rare this is). 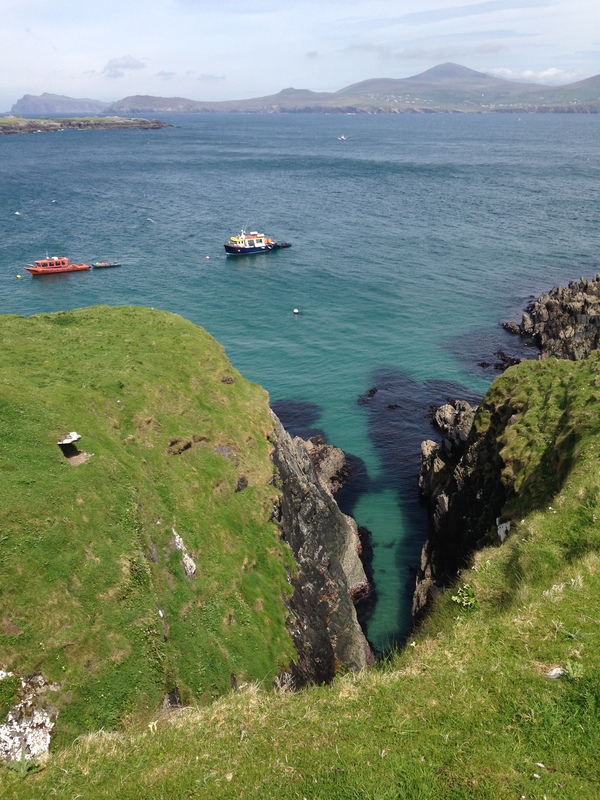 I’d heard about these boat tours that take you out to the Great Blasket Island and I reallllllllyyyyyy wanted to go. 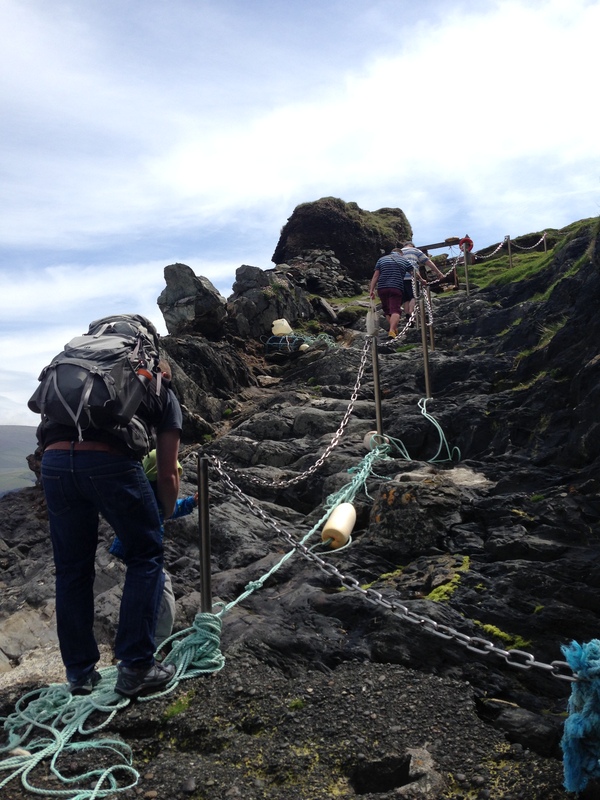 The remote Blasket Island is the westernmost point of land in Europe. 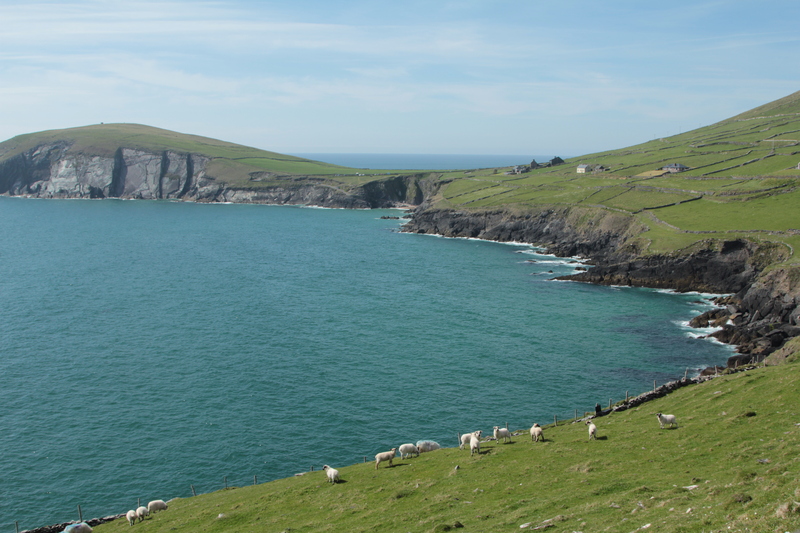 The island had been inhabited since prehistoric times by up to 200 people (and many more sheep) at a time. When the Great Famine hit, however, almost all of the inhabitants perished or immigrated. By the early 1900’s only about 20 people remained on the island. In 1953 the government deemed the islands unsuitable for human habitation and they moved the last residents off the island. Today you can visit the island to see what remains of the village and the abundance of wildlife that have made the island their home. The thing about visiting the island, though, is that the boats that get you out there only sail on perfect-weather days. Which are oh-s0-very-rare. In fact, right up until 20 minutes before the day’s scheduled sailing we were unsure if the boats would be running due to high-wind warnings. But, we lucked out and they decided to go ahead with the sailing. Hooray! 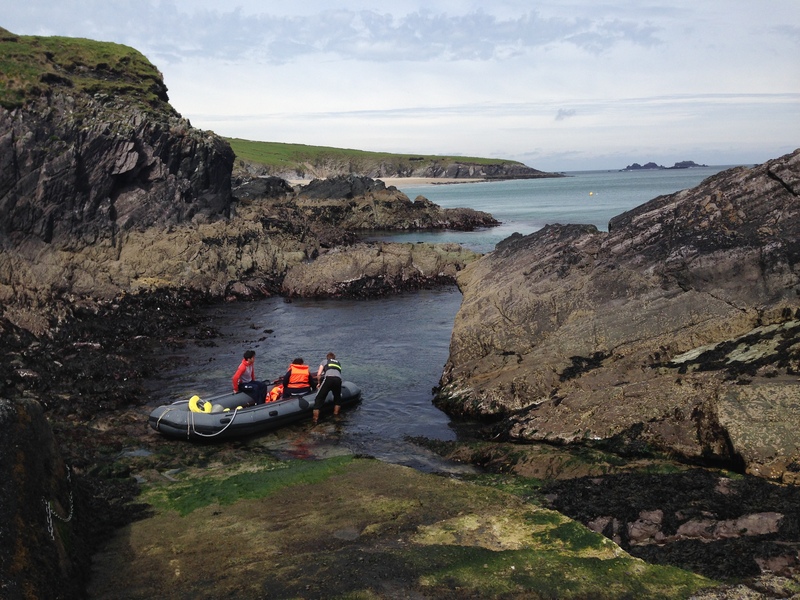 Our boat was run by a small company called Great Blasket Experience, and it was wonderful. There was room for 12 people on the boat, so it was our family, another family with two boys from Houston, two men from London, and a couple from I-don’t-know-where (they didn’t talk much). 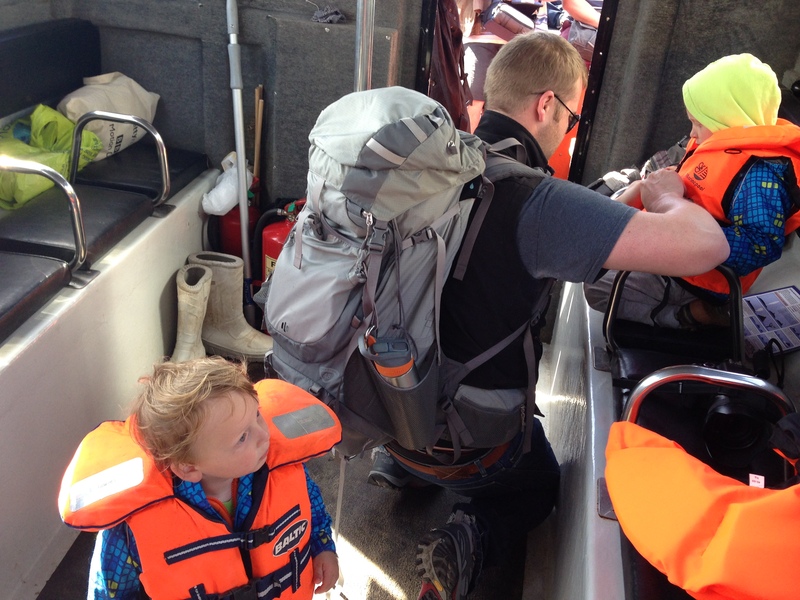 Once we all clamored aboard our little vessel we fitted the boys out with life vests, and then we were off! When we (finally) pulled up to the island our captain set anchor and we took turns piling into a little motorized raft so we could shore up on the island: Then we got to climb up this treacherous cliff that was covered in slippery algae. While carrying a squirmy toddler and an independent preschooler. We made it, though, and our time on the island was worth every terrifying experience that it took to get there. The ride back to the mainland was much less roller coaster-y and much more smooth sailing-y. We said hello to Fungie the dolphin one more time before pulling in to the marina. 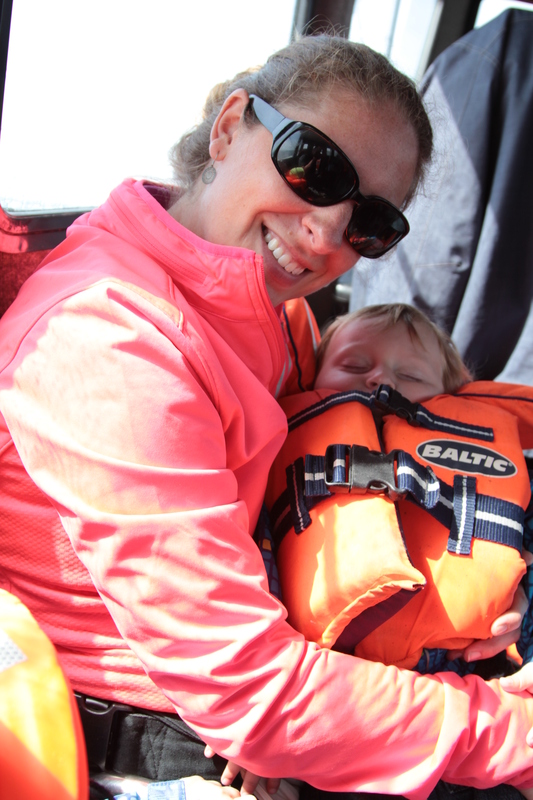 After our busy day on the island we were all pretty wiped out. We went back to our apartment to take naps. When we woke up at dinner time, none of us wanted to go out or make anything so we ordered Chinese take-out from the restaurant 2 doors down. It was a truly memorable day. On Sunday we woke up (or, more accurately, Jacob woke us all up) before the church even rang it’s first “good morning bell” at 6 AM. 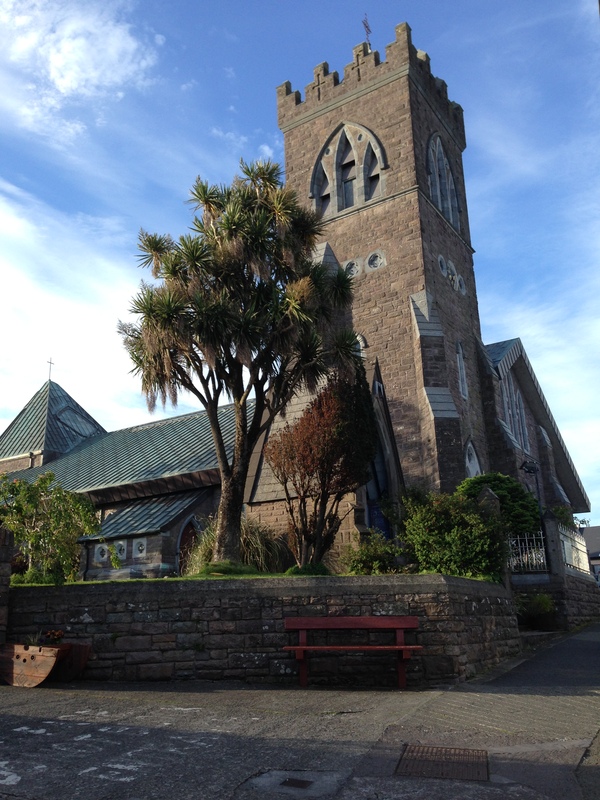 Since it was Sunday in Dingle, a small town in Ireland, this meant that nothing opened until at least 10:00. Not a cafe, not a coffee shop, not a park…nothing. So, we spent a good 4 hours on Sunday morning just hanging out in our apartment eating cereal, watching movies, and packing up our things. After our morning at the aquarium we walked down the street to a chipper for some fish and chips (or, in my case, chicken and chips!). Then it was time to hit the road and find our way back to Cork. We took a different route on the way home–not so much by choice, but because our SatNav likes to take us on new adventures every day. 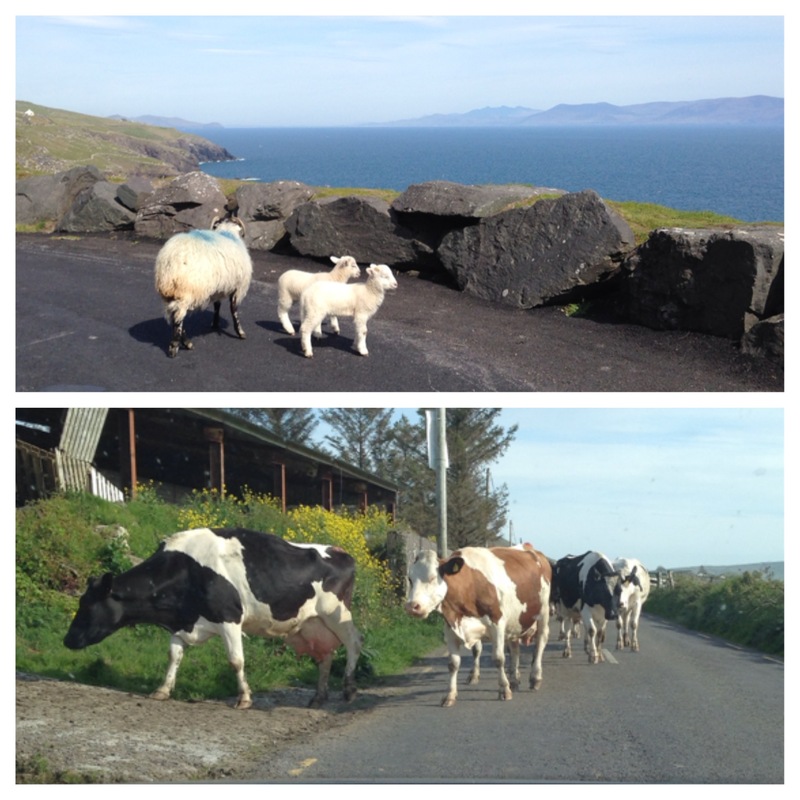 Instead of driving through the mountain pass we winded our way along the coast on the Wild Atlantic Way. It was a beautiful drive and the two-and-a-half hour journey passed quickly with the boys napping and playing in the back seat. 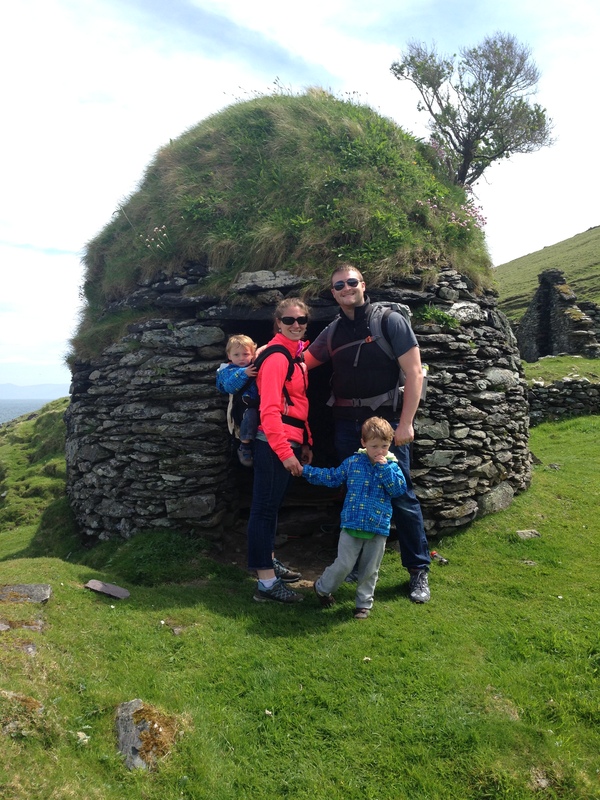 We had an incredible weekend in Dingle exploring all that the area had to offer. I count myself blessed that I got to experience such a remarkable piece of God’s creation. 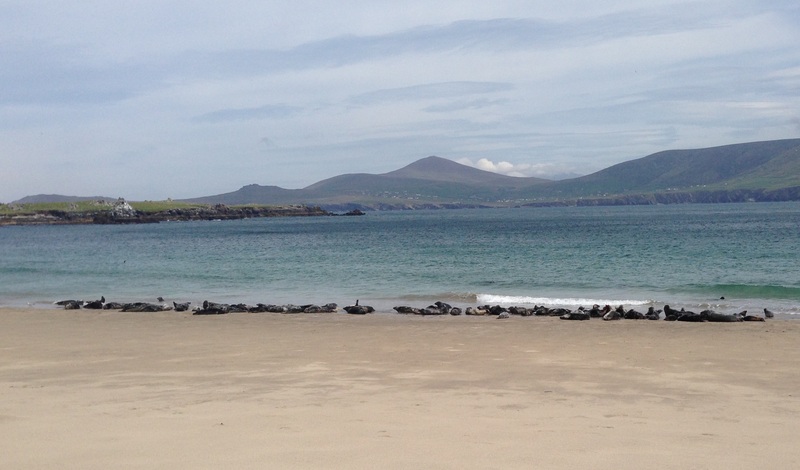 And, by the way, I think National Geographic was spot-on: Dingle is one of the most beautiful places on earth. Life is surprising. 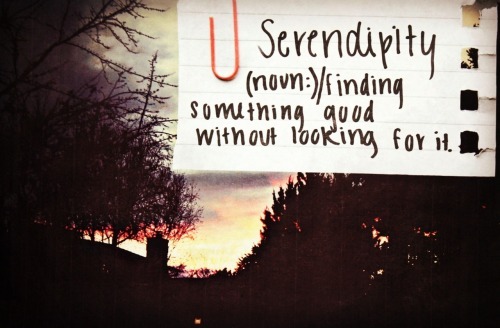 When you least expect it you might discover something new or meet someone who changes your life forever. Some may call this luck or chance or coincidence. Maybe it is. Maybe it isn’t. All I know is that when these pleasant little surprises come along they always make me stop and take notice. Such was the case this week when I met Leah: my serendipity friend. On Tuesday we had to go to our local Garda (police) station to renew our registration for living in Ireland (it’s hard to believe that we’ve already been here for almost a year!). The registration process is a thrilling experience. So thrilling, in fact, that they only allow you to go through it once a year (just kidding, it’s annoying and tedious and I hate it). Part of the Thrilling Registration Process involves sitting inside a large concrete room with dozens of other people waiting to register with the government. There is one line and one police officer assigned to help all of the people in the queue. Each person in line takes at least 10 minutes to register. The immigration office is open for about two hours in the morning and two hours in the afternoon and when they are closed they just shut the window and if you’re still in line, tough luck– you can come back tomorrow. They don’t care if you have squirrely children or a job to get to in the morning. You just have to get there, find your place in the queue, and hope they move quick enough that you don’t have to come back and do it all over again because you missed your narrow window of opportunity. Since we already went through this whole registration process last year when we entered the country I knew a bit of what to expect. I planned accordingly (meaning I brought movies on my iPhone, snacks and books to occupy our young immigrants during the Thrilling Waiting Time). Turns out, I was a hero. Within minutes of sitting down with our movie and popcorn (okay, they were just rice cakes) I had a crowd of about 6 kids who had wandered over from the queue to join in our fun. I spent the morning acting as playgroup host to the children of the Thrilling Registration Process–we watched movies, played Angry Birds, read books, and ran laps around the plant in the middle of the room. Time flew by and within 2 hours we were registered and on our way. After I dropped Jon off at work I decided to take the boys to a new-to-me park in the city center. 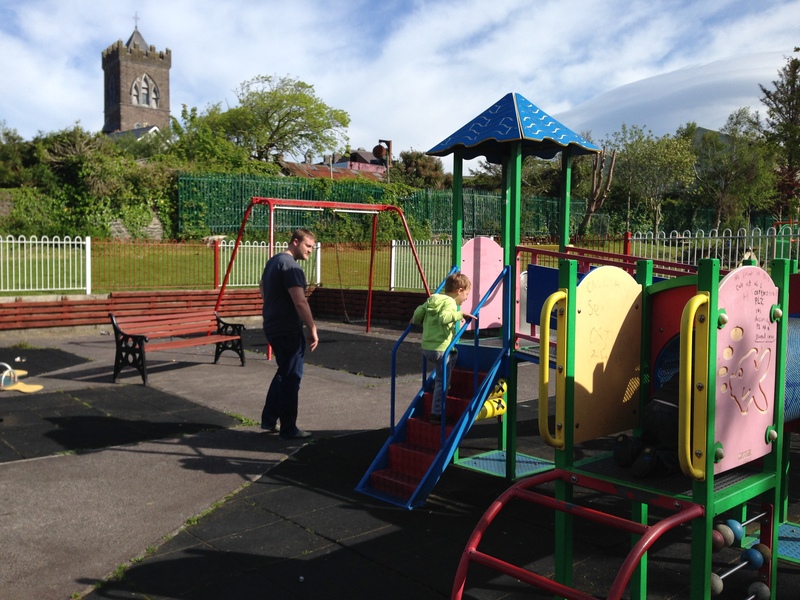 When we got to the playground there were lots of children running around. 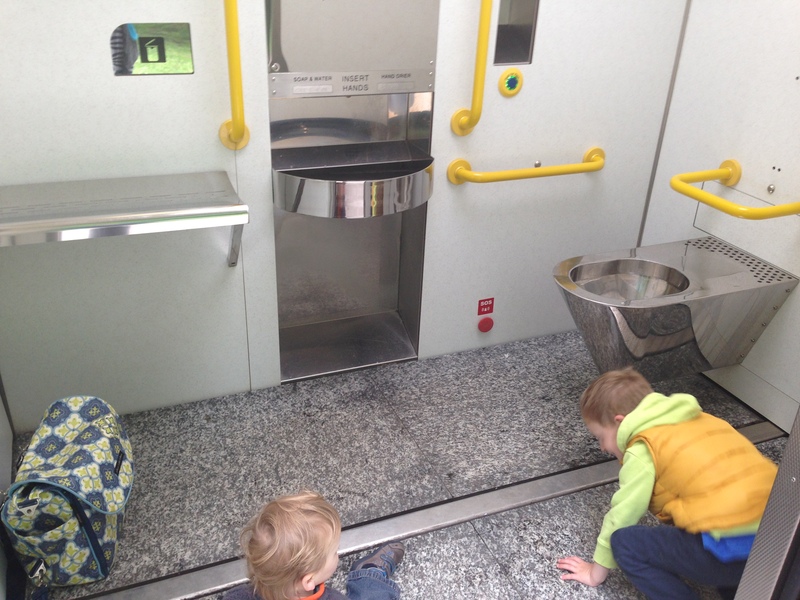 One little boy caught my eye, though–it was the same little boy that I’d just read shark books to all morning at the Garda station. What a coincidence! He recognized us right away and ran up to say hi to David. I saw his mom across the park and I decided to go over and introduce myself to her (“Hi! You don’t know me but I read shark books to your son this morning. No, I’m not a creepy stalker. See, he knows me!”). 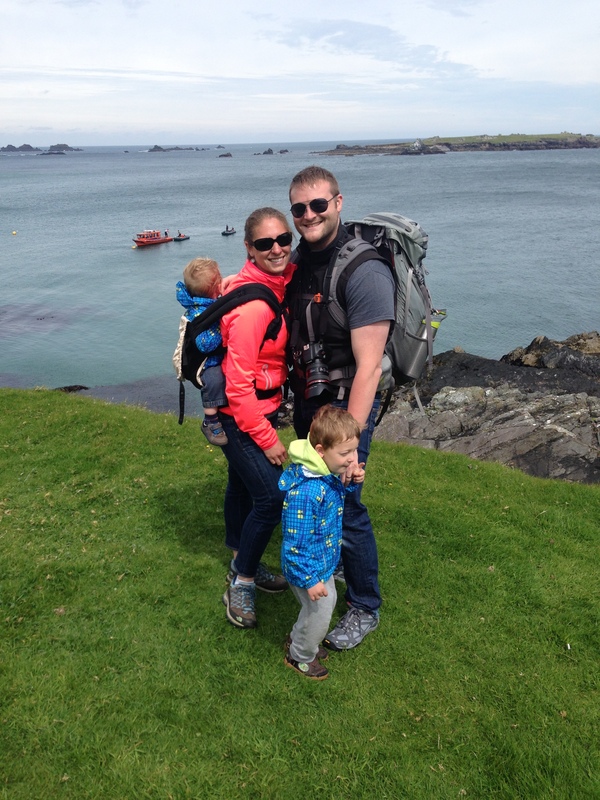 Her name was Leah and she was at the park with her two children and another expat friend with her two children. 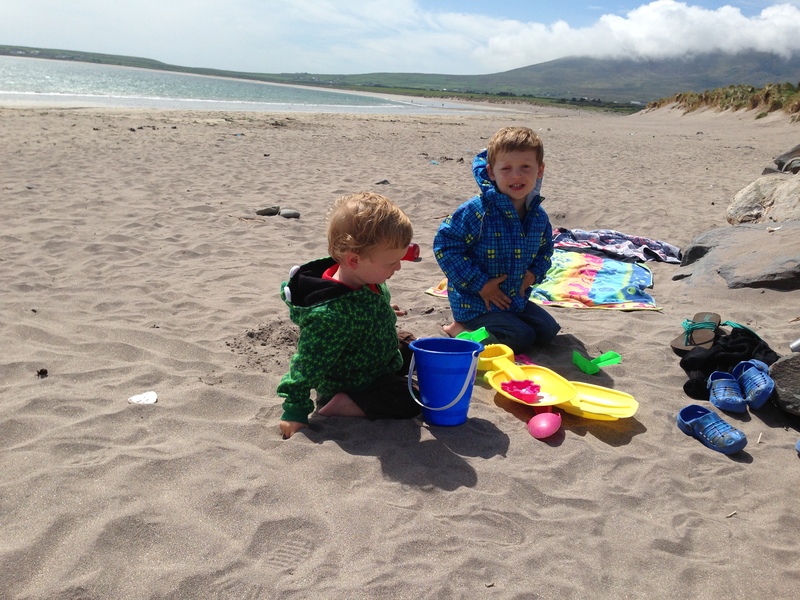 We spent the better part of an hour talking–about our kids, about living in Ireland, about where we came from, about how our husbands have these really cool jobs here and yet we are legally barred from working in this country, about travel. Meanwhile, our boys were having so much fun playing together that I was sure I’d never be able to convince David that we had to leave the park at some point. It was really cool. When it was time for us to leave I had meant to go back and say goodbye to Leah, but then The Great Poop Debacle happened and I literally had to run out of the park without saying anything to anyone. Oh well, I thought, I’m sure they didn’t even notice that we left. We’d only just met them, after all–and a very pleasant meeting it was. 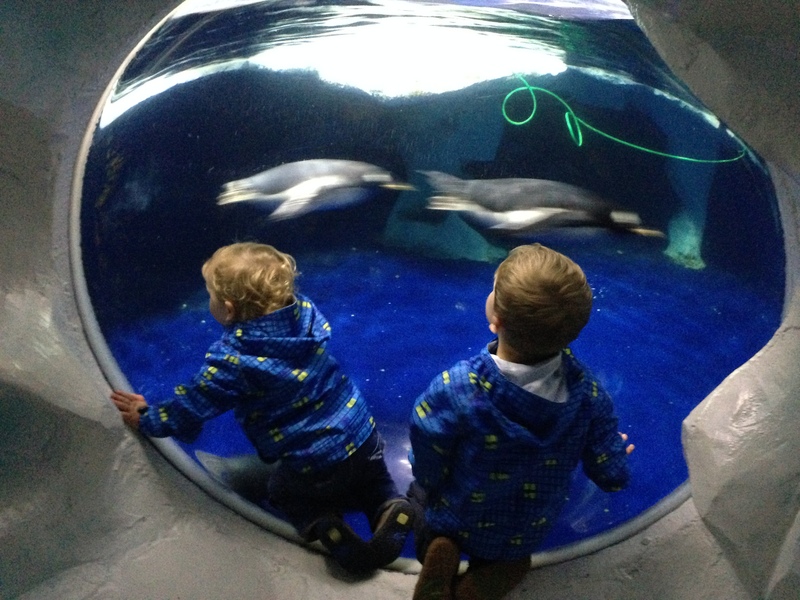 On Wednesday I brought the boys to the zoo. We’d been at the zoo for about an hour and were playing on the playground when I looked up and saw none other than our friends from the day before. I went up to Leah and told her, again, that I was not stalking her. She smiled and said that this time they must have been stalking us since we were there first this time. David and her son, Yousef, went back to playing together just like they had the day before. David was having so much fun playing that he chose to pee on a tree instead of walk 5 extra feet to the toilet that was next to the playground–which wouldn’t have been such a big deal except that he was having so much fun playing that he didn’t stop running while he was peeing and the end result was…messy. I’d left his spare change of clothes up in my car, but Leah had some extra pants for Yousef that she said we could borrow until we got back to the parking lot. So, as it turns out, we spent the whole rest of the day wandering the zoo with Leah and Yousef, our serendipity friends. Our friends who we met by chance not once, not twice, but three times this week. This time we exchanged phone numbers, so our next meeting might be planned rather than left up to fate. Whatever happens, though, we had a wonderful week with our new friends. Maybe it was fate, maybe it was luck, maybe it was chance. Whatever it was, we found something good–and that’s enough explanation for me. Fortunately I had about an hour to kill this morning before we were meeting up with some friends for lunch, so I thought we would stop by a new park for some fun play time. Unfortunately as soon as we pulled into the parking lot David grabbed his crotch and said he had to go potty. Fortunately a woman in the parking lot told me there were toilets in a cafe in the park. Unfortunately the cafe was about 1/4 mile away from the parking lot on the opposite side of the park. Fortunately I’m a strong momma so I picked up my toddler and ran with David all the way across the park to the cafe. Unfortunately the restrooms were for cafe customers only. Fortunately I had a coin in my pocket, so I bought a fruit snack before we rushed into the bathroom to do our business. Unfortunately we were not at the park to spend all day in the bathroom and a little cafe. Fortunately there was a fantastic playground back on the other side of the park near the parking lot. The boys had a blast swinging and sliding and spinning and climbing. Unfortunately our time in the playground eventually came to an end and we had to get ready to leave for our lunch. Fortunately David said he didn’t have to go potty again before we left, so we started to walk out to our car. Fortunately I knew where the bathroom was this time, and when he started doing his little potty dance I grabbed him by the hand and started leading him back across the park. Unfortunately we only got halfway across the park toward the cafe toilets when David stopped in his tracks, looked up to me and said he didn’t have to go potty any more. Fortunately the front of his pants were still dry. Unfortunately, the back of his pants were quite brown and stinky. Fortunately I had a change of clothes for him in the diaper bag that was back in our car. Unfortunately, the car was now on the opposite side of the park again. Fortunately I’m a strong momma and I was able to, for the third time this morning, run across the park while schlepping a flailing toddler in my arms and chasing a distracted preschooler all the way back to the car. Unfortunately by the time we got back to the car to retrieve the diaper bag I really didn’t want to walk all the way back across the park to the cafe again. 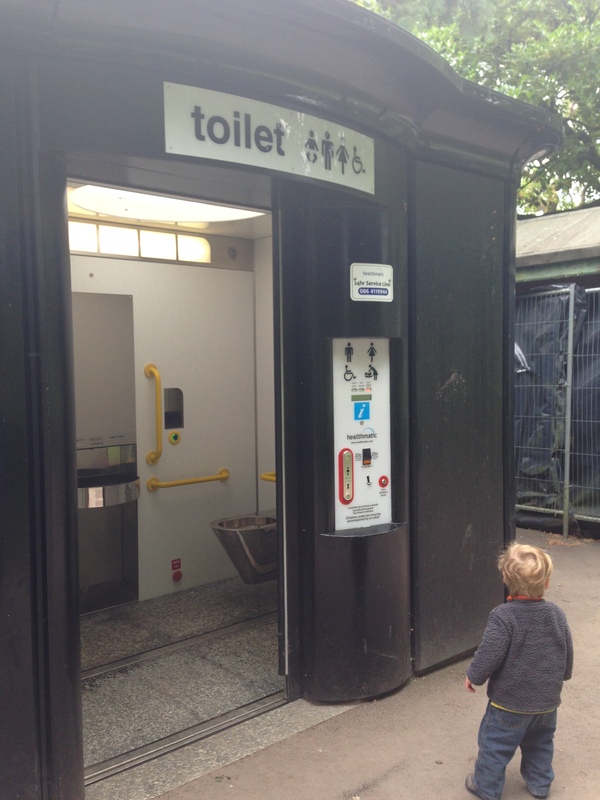 Fortunately I spotted a public toilet right across from the playground. Unfortunately it was one of those super-sketchy public toilets that is a single pod and you have to pay to go inside and then a metal door slides shut behind you and I’m pretty sure meth addicts hang out in them and they are always disgusting and smell like the inside of a sewage treatment plant. Fortunately I’m a strong momma who’d already had been through enough crazy this morning that the sketchy public toilet didn’t bother me as much as it should have so we went in anyway. Unfortunately it was just as disgusting as I’d imagined it would be and I had to cover the entire room with toilet paper before I would allow my children to step foot inside. Fortunately David finished his business on the toilet instead of in his pants. Unfortunately I’d used up all of our allotted toilet paper making a semi-sanitary environment for my children and there wasn’t enough left to clean up David (remember, it’s a sketchy pay-by-the-minute public toilet with a toilet paper allowance). Fortunately I had baby wipes in the diaper bag. They did the trick. Unfortunately while I was cleaning David up with the baby wipes Jacob saw the giant flashing red button that was right at his eye level: the SOS button. He pushed it. Sirens went off. Lights started flashing. The metal door that had been shielding us and our poop-covered selves from the rest of the decent world crashed open. Fortunately David didn’t even notice that he was stark naked and covered in poop in the middle of a public park. 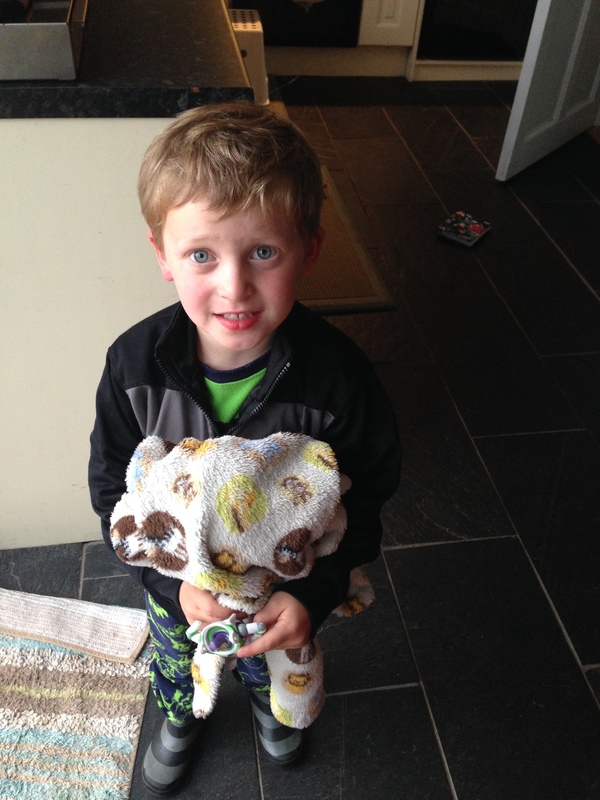 We finished getting him cleaned up, dressed him in clean pants, and walked out of the toilet as if nothing had ever happened. Unfortunately I lost the last bit of dignity that I had been holding onto since I was in labor with my babies. Fortunately I’m still alive to tell you this story. I didn’t die of embarrassment or a heart attack or a staph infection from the disgusting public toilet. And in the end, I guess that’s all that really matters. Unfortunately this is a true story. Fortunately I know I will laugh about this some day. As an American living in Ireland, I often find myself stuck in the middle of two cultures: do I continue to act American or try to assimilate with the Irish? This conflict has become most apparent during holidays where I have my own cultural traditions that I want to keep alive even though I’m living abroad. It came up at Thanksgiving (which, obviously, is not even celebrated in Ireland) and Christmas and Easter. I did not, however, expect my “cultural expectations” to come into play for holidays like Mother’s Day. I have never even have given Mother’s Day much thought until we moved here–that is, until I realized how important it really was to me. 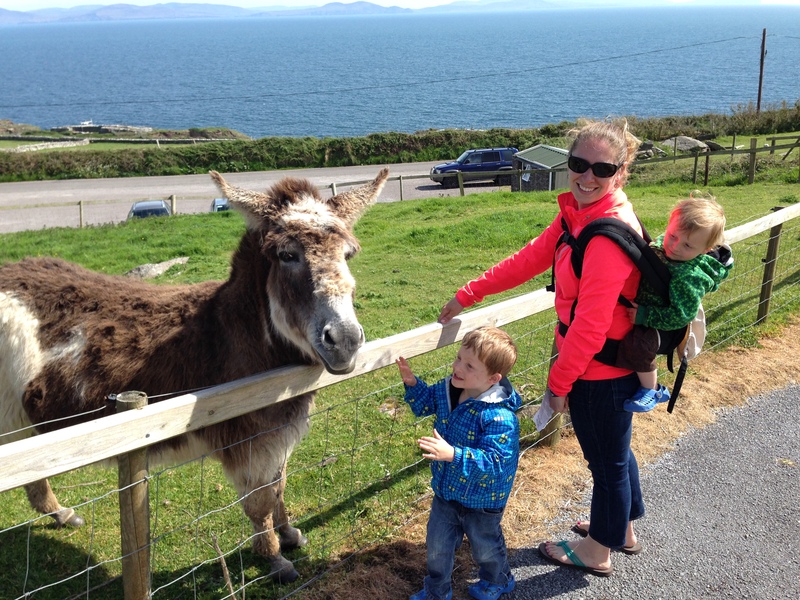 You see, Mother’s Day is celebrated in Ireland–just on a totally different day than American Mother’s Day. 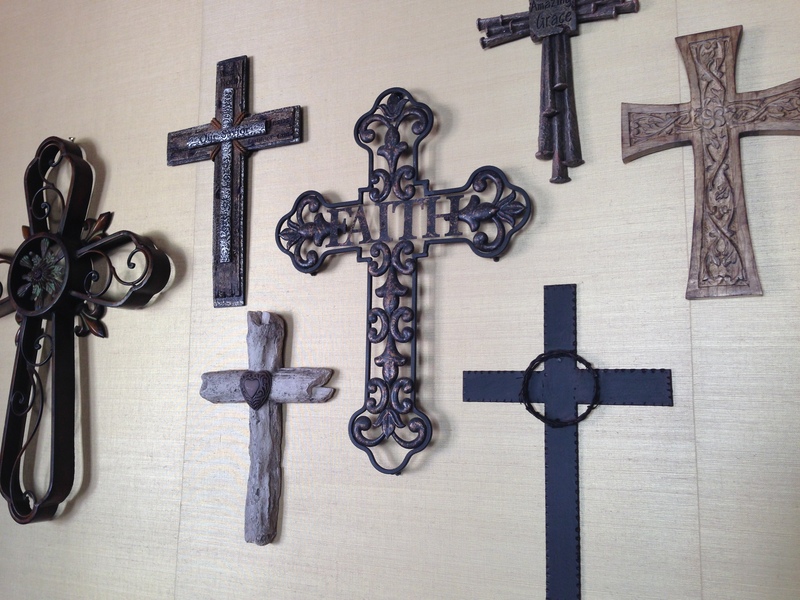 In Ireland, Mothering Sunday occurs on the 4th Sunday of lent, which happened to be March 30th this year. It was 6 weeks before the day that I, the American, expected Mother’s Day to fall on. My mom wasn’t celebrating it yet and it just didn’t feel right. Also, March 30th happens to also be Jon’s birthday, and I didn’t want to steal his thunder. So, we kind of just let Irish Mother’s Day quietly pass us by (even though David made me a cute card at school and we got beautiful flowers at church) and decided to wait until May to celebrate our “official” Mother’s Day. Yesterday was American Mother’s Day, and we decided it was finally time to celebrate me. Well, more accurately, I decided it was time to celebrate me and I told Jon and the boys my expectations. They did not disappoint. My Mother’s Day weekend started with a fun date with my big boy David on Thursday afternoon. 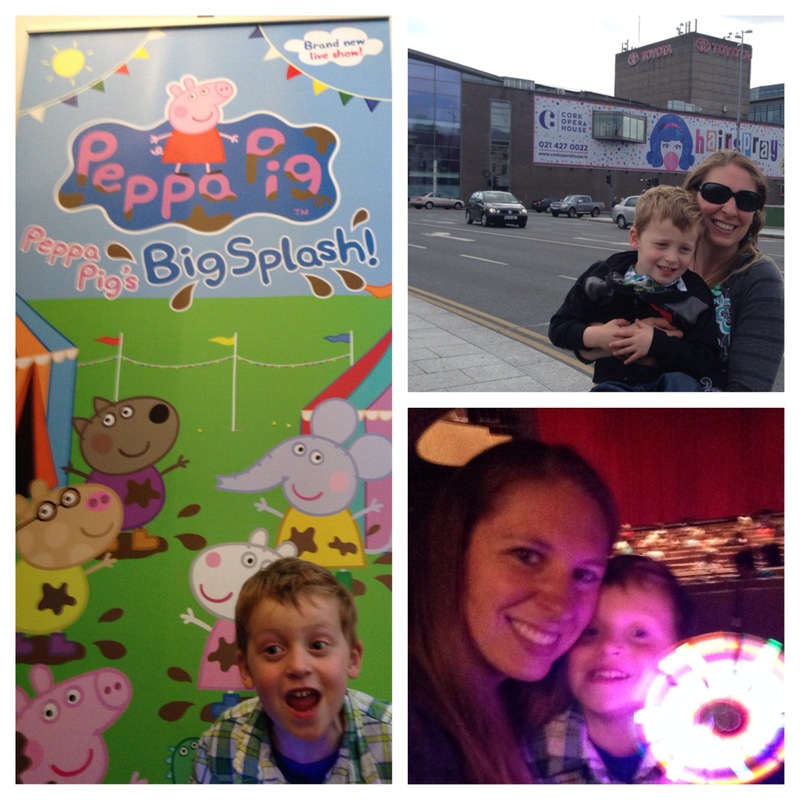 We went to Peppa’s Big Splash, a play based on the popular British cartoon Peppa Pig (one of David’s favorites). The play was at the Cork Opera House, making this David’s first official viewing of live theater. It was a great experience–there was lots of noise, jumping around, glow sticks, ice cream and even squirt guns involved in the show. All of the characters were these huge puppets that the puppeteers danced and sang with all over the stage. I’m fairly certain that the average age of the audience was 3 years, and they did a great job catering to their patrons. On Saturday we spent the whole day together as a family–this was kind of a big deal, because it’s been about a month since we’ve all been together for a whole day with all of the travel we’ve been doing lately. David has been begging us to take him swimming lately, so we started the morning at a wonderful pool across the city in Churchfield. It had a lap pool and a kids pool that had a playhouse in the middle of it with a slide. David was in heaven. Jacob was actually a bit terrified of the water for the first half of our swimming session (I guess it’s been too long since we’ve been in a pool! 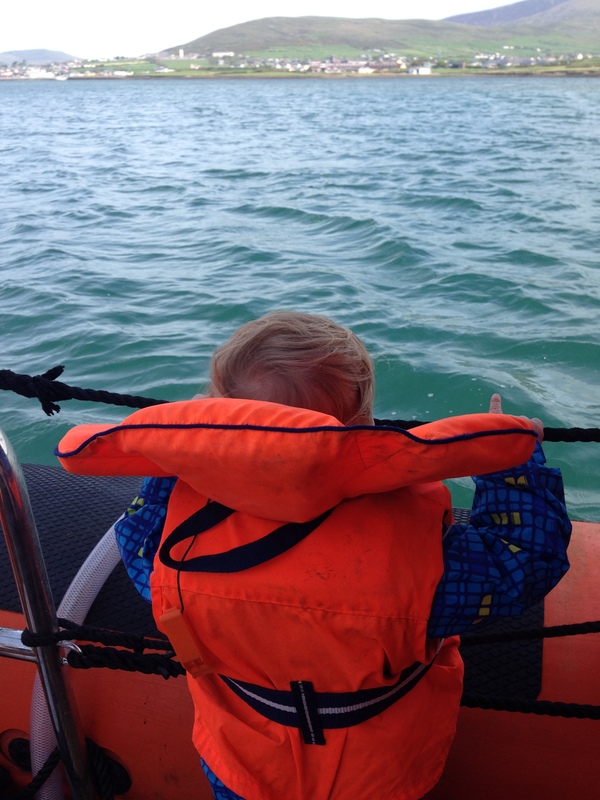 ), but once we got him sitting in a baby flotation device he calmed right down. There was also a really cool tunnel slide that wrapped all the way around the building that Jon and I (ahem…the kids…) thoroughly enjoyed. 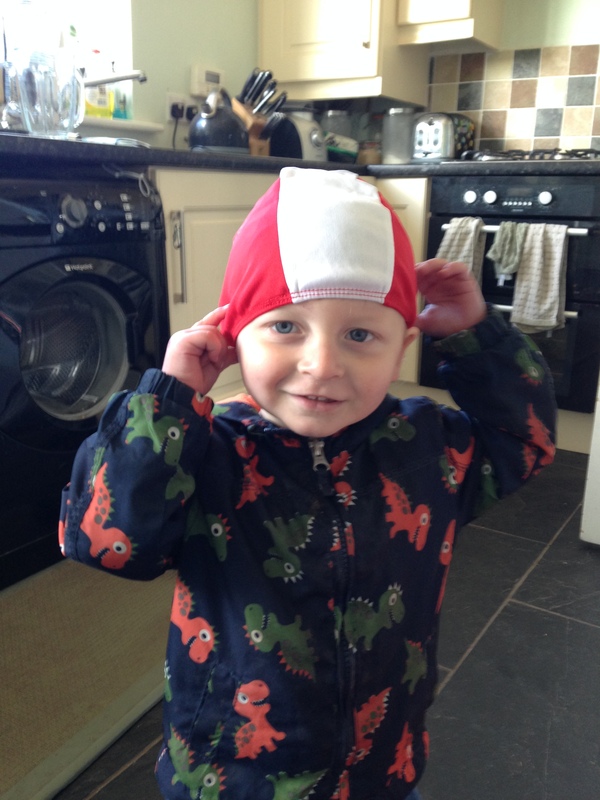 The best part of swimming in Ireland, however, has to be the swim caps. All swimmers are required to wear swimming caps at all times. Yes, even babies. After swimming we were famished, so we drove into the city center for lunch. We went to our favorite go-to “restaurant”: Mc.’y D’s. Before you judge, though, you should know that the McDonalds’ in Ireland are a bit classier than in The States. They will do things like seat you at a table and take your order from the table (you know, like you’re really at a restaurant) and make your kids balloon animals while they’re waiting for their cheeseburgers to come out of the microwave. It’s an experience. After lunch we walked around town for awhile and did a bit of shopping. We also stopped for some delicious gelato before heading back home for afternoon naps. 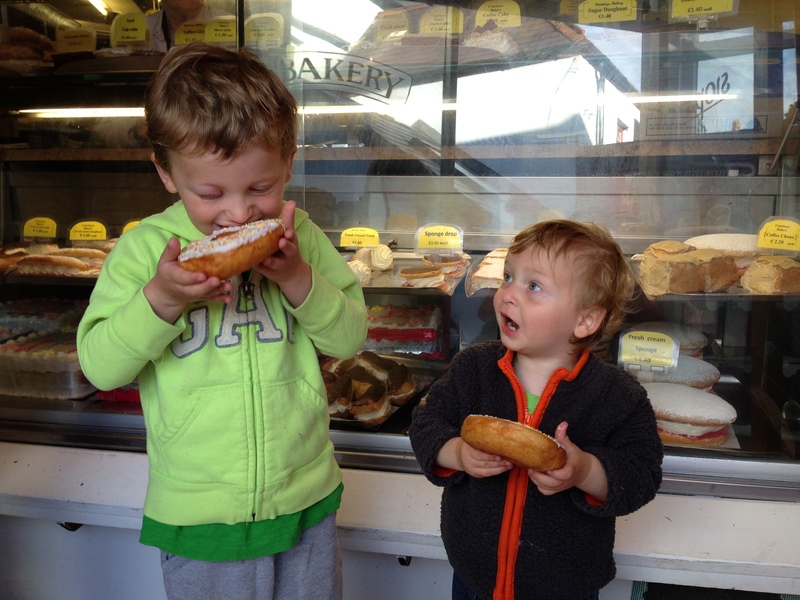 On Sunday (Mother’s Day) I got the best gifts ever: sleep and kisses from my boys. I told Jon that my only request for Mother’s Day was that he let me stay in bed for as long as I darn well pleased. It was almost 10:00 by the time I peeled myself away from my pillow to get ready for church. When I got downstairs Jon made me breakfast while I read the cards that the boys had made for me. It was then that I discovered I would be getting another Best Gift Ever: a massage and relaxation day at a spa. I’m already feeling more relaxed just thinking about it! The rest of our day was spent going to church, calling our moms in America, and lounging around at home. Jon made us a feast for dinner: gourmet burgers, bacon-roasted asparagus, balsamic potato wedges and cheesecake. I didn’t even take a photo of the food because we devoured it all so quickly. It was all delicious and lovingly prepared–the perfect end to a memorable weekend. Thank you for parenting with me and loving me so well, Jon. And thank you for letting me be your mommy, David and Jacob. I have the best job in the world, and I even get a whole day every year to remember that. Well, unless you’re living in Ireland. Then you get TWO whole days! Happy Mother’s Day to all of the amazing moms out there–the world would not be the same without you!